Barry McCann’s 3 disc DVD series will inspire you to pick up your paintbrush and get started on what may be your first of many acrylic painting ventures. Barry will guide you step-by-step through the 3 disc series and show you how to create amazing painting effects in your own home. Be shown through the preliminary stages of sourcing a subject, planning and drawing, as well as more comprehensive lessons about the processes of painting, drying and presentation. 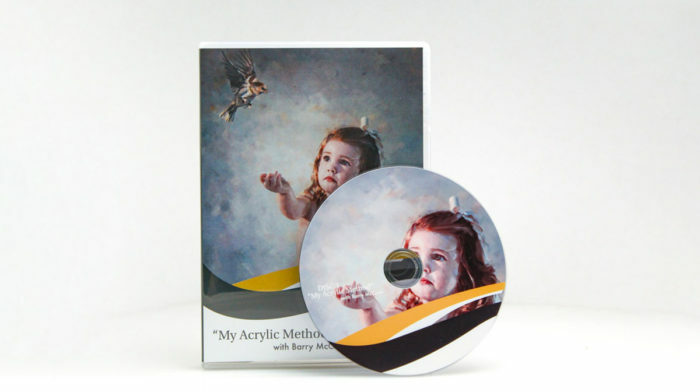 Purchase your copy of ‘My Acrylic Method’ With Barry McCann today! Watch on any device when ever you want. Purchase the streaming version of ‘My Acrylic Method’ with Barry McCann and avoid any shipping costs.